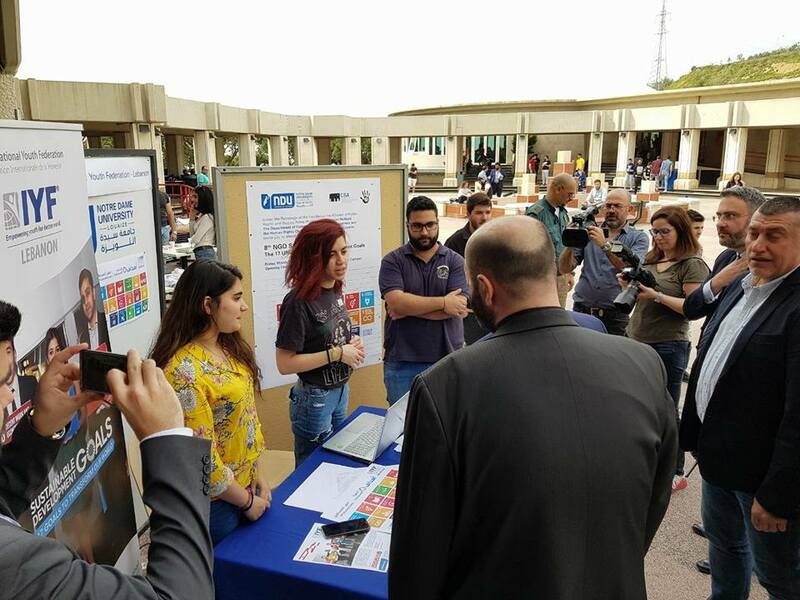 IYF Lebanon, (Zouk Mosbeh - Lebanon): The IYF Lebanon Country team took part in the 8th Annual Non-profit Organizations fair 2018 held at Notre Dame University (NDU) in collaboration with the NDU Human Rights Club held in Zouk Mosbeh. the fair held under the auspices and in the presence of His Excellency Lebanese Deputy Prime Minister Ghassan Hasbani. It was a great opportunity for the IYF Country Team in Lebanon to get to know other SDGs-focused NGOs in Lebanon. We look forward to future collaborations with certain NGOs to achieve the 17 Sustainable Development Goals SDGs through the Lebanese youth.